As mentioned above, Tesla made a huge announcement yesterday. The company plans on unveiling its latest video relatively soon. The company announced yesterday that it intends on unveiling the Model 3 later this month. According to many, the future of the company depends heavily on this one vehicle. Another announcement made is that current TSLA customers have the ability to start pre-ordering the cars. According to TSLA, there are two ways that customers can start reserving the vehicles. The firstway is simple, simply visit a local Tesla store on the day of the unveiling, March 31st. Another way to make the reservation is to wait until the unveiling and go to the company’s website. The unveiling will happen on March 31st at 11:30PM EST. As investors, we know that any time news is released with regard to a publicly traded company, we can expect to see movement in the value of the stock. Of course, positive news will lead to positive gains. Adversely, negative news will lead to negative gains. In this particular case, the announcement that TSLA will be unveiling a new model vehicle is incredibly good news. So naturally, we’re seeing strong gains in the value of the stock at the moment. 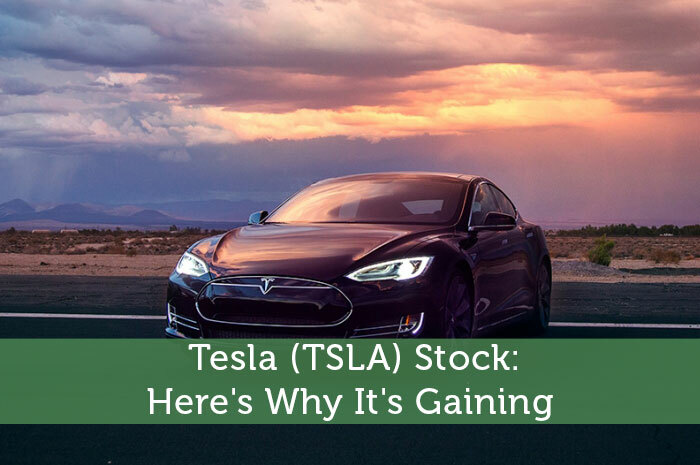 Yesterday, the stock skyrocketed, and the upward movement on TSLA is continuing today. Currently (12:20), the stock is trading at $224.98 per share after a gain of $2.40 per share or 1.08% thus far today. Moving forward, I have a bit of a mixed opinion with regard to what we can expect to see from TSLA. In the short term, I’m expecting to see further gains. After all, investing can be a very emotional process and excitement is a strong emotion. Given that the company is working to unveil its new model vehicle some time soon, investors are overwhelmingly excited at the moment, leading to further gains. Also, on March 31st, when the company does unveil the new vehicle, we can expect to see strong gains. After all, any unveiling will ultimately lead to excitement. On the other hand, my long term view of TSLA is a bit more bearish. In fact, even the S&P 500 has come out and said that it understands the excitement, but TSLA should not be valued so high at the moment and will not likely hold the value for very long. At the moment, Tesla really isn’t generating much by way of profit. When you look at the PE ratio on the stock, what you’re seeing right now is huge negative numbers because the stock simply isn’t generating funds. The fact that the stock has made it to over $200 per share is absolutely outrageous. Think about it, there are several other luxury vehicle manufacturers that are producing profits that aren’t fetching the type of valuation that TSLA is. Ultimately, if things keep going this way, the bulls are going to be upset as the stock tanks in a big way down the road. Where do you think TSLA is headed moving forward and why? Let us know your opinion in the comments below! Great article. It’s nice to read a valuation that isn’t completely damming to TSLA. It really is bizarre how highly it is valued as a company. But a thing that investors and valuater seem to overlook is Tesla is becoming a battery company. The Powerwall, cars, and batteries all fall under the TSLA (for the time being) umbrella. If you are a shorter just looking to make a quick buck, by all means short away. For those of us invested in sustainable transportation we are here for the long run. it went from $228 to $215 testerday ( wednesday ) is that what you call skyrocket ?